The Ontario Court of Appeal has reinstated an action against the Ontario Lottery and Gaming Corporation (OLGC) brought by third party victims of a fraud committed by a problem gambler who stole their money and spent it on gambling. The victims will be permitted to roll the dice at trial with their claims for knowing receipt of trust funds, unjust enrichment and negligence against the OLGC. In Paton Estate v. Ontario Lottery and Gaming Corporation (Fallsview Casino Resort and OLG Casino Brantford), two estates alleged that a law clerk stole about $1.5 million from them and gambled it away at the Fallsview Casino and OLG Casino in Brantford over a little over a year. The law clerk was known to the OLGC as a problem gambler who gambled away large sums of money in a short period of time, the estates alleged. The law clerk also told the casinos that she was a lawyer. A reasonable casino would therefore have made inquiries about the source of the law clerk’s money, the estates claimed. The OLGC successfully brought a motion to strike the statement of claim on the basis that it disclosed no reasonable cause of action. The estates appealed. The Court of Appeal was not convinced that the estates’ claims were doomed and reinstated the action. Had constructive or actual knowledge of facts that would put a reasonable person on inquiry but fails to make the inquiry as to the possible misapplication of trust property. The issue was whether the OLGC knew facts that should have put it on inquiry. The motion judge held that the fact that the law clerk had represented to the casinos that she was a lawyer was not enough. But if at trial the judge were to find that the OLGC had good reason to suspect that the law clerk stole the money she used for gambling, the OLGC might be liable for failing to take action, the appeal court held. The absence of a juristic reason for the enrichment. The motion judge held that the estates could not advance a claim for unjust enrichment unless the gambling law clerk would also be permitted to advance such claim. While the OLGC was enriched and there was a corresponding deprivation to the law clerk and her mother, the OLGC had juristic reasons for retaining the enrichment, because the law clerk and her mother had entered into valid gambling contracts with the OLGC. The OLGC was also a bona fide purchaser for value without notice that the funds were obtained by fraud. Therefore the unjust enrichment claim must fail, the motion judge held. The appeal court disagreed: the juristic reasons for the enrichment by the OLGC might be vitiated by unconscionability. The estates’ claim for unjust enrichment was not certain to fail if in fact OLGC had knowledge that the law clerk was a problem gambler who was unable to stop herself from losing money, but was permitted to do so by the OLGC. The estates’ final claim was for negligence. They alleged that the OLGC had a duty to stop the problem gambler from losing their money by stopping her from gambling. Whether someone owes a duty of care to another depends on whether harm is foreseeable, and whether there a relationship of proximity between the two. Here, the motion judge held that the OLGC could only owe a duty of care to the estates if it first owed a duty of care to the problem gambler to prevent her from losing money. In this case the pleadings did not contain enough facts to establish reasonable foreseeability and proximity between the casino and the problem gambler. Since the OLGC did not owe a duty of care to the problem gambler there was no duty of care to the third party estates either. Further, even if the OLGC owed a duty of care to problem gamblers the duty would be negated for policy reasons. Casinos would face indeterminate liability to compensate gamblers for their losses, which would hinder a casino’s ability to operate for profit. Whether a casino owes a duty of care to problem gamblers has not been decided by the courts in Ontario. 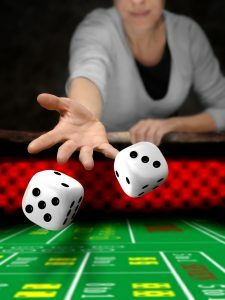 More may be expected of a casino where a person is clearly a gambling addict and out of control, the appeal court held. While there may be barriers to a finding that casinos owe a duty of care to third party victims of problem gamblers, their situation may be similar to that of a commercial host serving alcohol to an intoxicated patron who then drives home drunk and injures a third party. Courts have already held that commercial hosts, such as bars or clubs, may be liable to third parties who are injured by intoxicated patrons. The Court of Appeal concluded that the estates’ claim in negligence was not certain to fail. The Court of Appeal’s decision leaves the door open for novel claims to be advanced by problem gamblers and their victims against casinos. Perhaps the most interesting observation by the appellate court was the parallel between a casino and a commercial host. Both casino operators and commercial hosts are motivated to increase their profit margins and may have a perverse incentive to permit their customers to over-consume or over-gamble. While there is no certainty that the facts of this case would be sufficient to give rise to liability, the appellate court’s ruling suggests that under certain circumstances casinos might have a legal duty to prevent problem gamblers from causing harm to themselves or third parties.